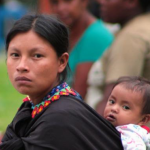 Decades of armed conflict in Colombia has left over six million people internally displaced. 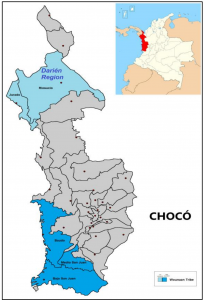 The Union Wounaan Tribe, an internally displaced indigenous community in the Medio San Juan region of the Chocó Department of Colombia, has been severely impacted, facing a threat to indigenous culture and identity following the loss of traditional structure of governance, family norms, and language extinction. To address the current social, political, and economic situation of the Union Wounaan within the context of the armed conflict in Colombia, EurekaFacts conducted a needs assessment using primary (an interview with a community advocate) and secondary research (a literature review) methodologies. We mapped the information gathered to the Needs Assessment Framework developed by the Inter-Agency Standing Committee, focusing on the tribe’s basic needs (e.g. access to adequate food, shelter, clothing) as well as their level of vulnerability, coping strategies, and capacities. Based on the information gathered through research, EurekaFacts provided a series of recommended approaches focused on Participatory Action Research (e.g. Asset Mapping, Photovoice) for working with the Union Wounaan, all of which are grounded in ethical and effective methods for working with highly marginalized and vulnerable populations. Read the entire Union Wounaan Tribe Needs Assessment from EurekaFacts. The study was led by Jorge Restrepo and Lani Steffens of EurekaFacts. The Needs Analysis Framework is a tool to help humanitarian coordinators and IASC country teams organize and present existing information on humanitarian needs in a coherent and consistent manner. This in turn will help develop strategies and programs that focus on addressing prioritized needs. The Inter–Agency Standing Committee (IASC) is the primary mechanism for inter-agency coordination of humanitarian assistance. Photovoice is a participatory action research methodology that involves the use of photography and enables people to document, reflect upon, and communicate community needs to policymakers for the purpose of promoting social change. Asset mapping provides information about the strengths and resources of a community and can help uncover solutions. Once community strengths and resources are inventoried and depicted in a map, you can more easily think about how to build on these assets to address community needs and improve health. EurekaFacts is a full-service market research firm in the Washington, DC area offering a wide range of quantitative research, qualitative research, and advanced analytics. Our team’s expertise is unmatched in conducting research and recruiting hard-to-reach audiences, including Hispanics, parents, children, and other audiences. Our mission is to equip the people who lead efforts to build a better, safer, healthier world with the insights needed to shape initiatives, brands, communications, and campaigns.